I've always been fearful of being or doing things, like eating, alone. I think a lot of people can understand this sentiment. Recently I had a pretty hectic schedule of work in Beverly Hills, dance classes in Hollywood and then rehearsals. There were blocks of time in between these activities which I decided to designate my, "alone time." 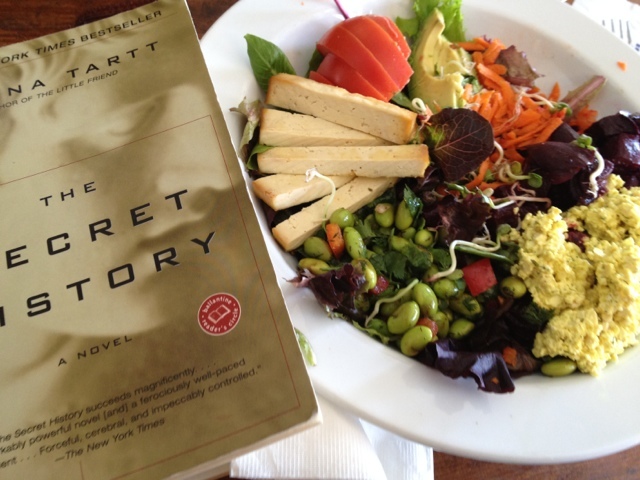 I would sit at a restaurant like Cafe Gratitude or Flore, open up a book, and take a long dinner by myself. It's actually quite enjoyable. Initially, you might feel like that "weirdo-eating- by-herself," but trust me. Get over that self-conscious negativity and you'll discover that giving yourself some quiet alone time is refreshing!